A day of rest. I blogged earlier this week about my pets. 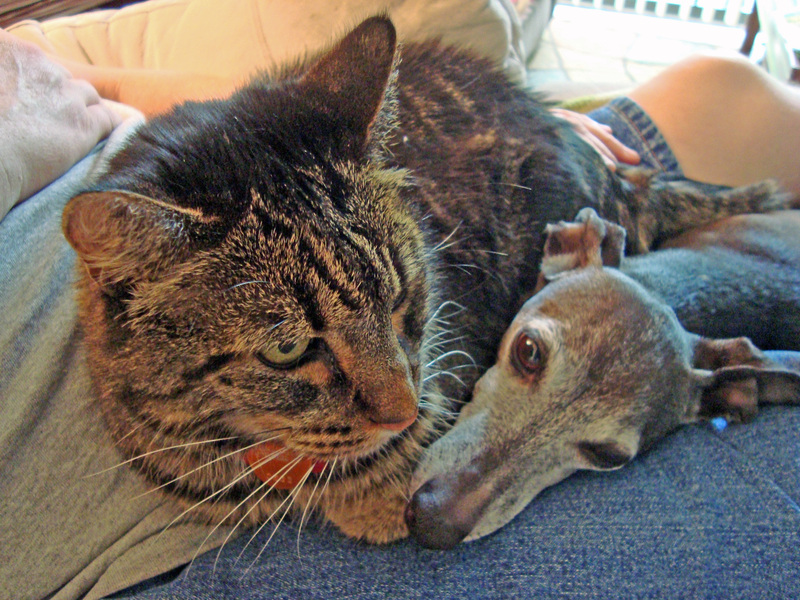 Here is a photo of Tess and Yoda cuddling on Mike’s lap. Previous Post Transcribing Everything is the Key! Next Post Shooting in the Woods: He made it out alone!